With tax season in full swing and documents from broker/dealers and other investment companies coming out later and later, you can definitely smell the tax “angst” in the air. The amount of pressure that tax offices and their clients seem to be under is palpable. Why is this all happening and what about this is important to you? It’s happening because, over the years, although the IRS has stood firm at mid-January to April 15th as the filing season for 1040 filers, on the other side of the equation are the vendors themselves that have to send documents to the IRS: The banks, the mortgage companies, the investment companies, etc. The companies have managed to lobby and get extensions of time to send their tax documents because their reporting is affected by other companies’ deadlines or complexities that are, as they argue, “beyond their control.” When the IRS originally said January to April 15th, the majority of documents were in the mail to us, the “little people,” by February 15th, which gave us about eight weeks to receive those documents, get them to a preparer, and get the job done. However, it’s not uncommon now to see brokers coming out with their statements in late February, even early March, and limited partnerships, and many other investments that issue K-1s may be even later than that. Some clients that we see have received a letter saying their tax documents won’t be issued until April 1st. For those folks, it’s almost for certain that they’ll have to go on extension, whether they like it or not. Well, there’s not much you can do about it except understand that this is the gathering and presenting of paperwork to the IRS, and it has very little to do with paying the tax or the money side of the equation in general. What am I talking about? Well, the IRS has already withheld money from paychecks, pensions, IRA rollovers etc. They have your taxes, for the most part, already prepared; they’re just waiting for the paperwork that matches from you. Why don’t they just file our taxes for us then? Because people can do things that alter the amounts that the IRS has on file. For instance, at work, you might have had a certain amount of money withheld from the W-2 that is pretty much a full amount of the tax liability, but then during the year you opened an IRA for yourself and your spouse, which will reduce your tax liability, forcing the IRS to return some of that withholding. Whereas if you hadn’t opened private IRAs, they’d be keeping it all. The IRS already has the money, and they already have an expectation of the tax liability, they’re just waiting for you to turn in the final paperwork to let them know where things really stand. The filing of that paperwork from you can be extended beyond April 15th! 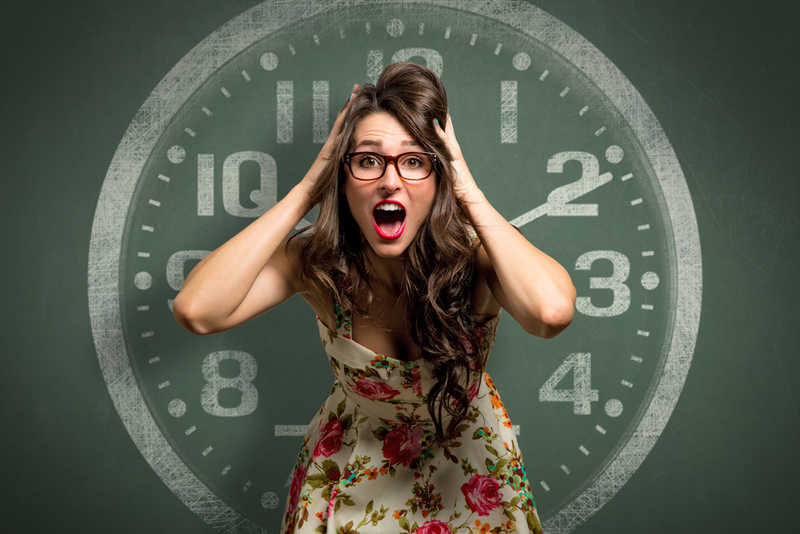 If you have angst about not getting tax documents in time, you can take the panic road, or you can take a more relaxed approach. Step back and look at what’s really happening and maybe consider taking an alternate view. I’ve already paid the majority of my tax. I can send a check right now for any amount I want so that there will be no penalties and no interest whenever I do file. The IRS allows me to file an extension for my corporation or my personal return, giving me six more months to file my actual return. Again, as long as I paid my tax liability in advance there’s no penalty for turning in the paperwork later. Why are we all in this mad rush to get the paperwork in on the first deadline? Quite honestly, we don’t know! They made it difficult to get the paperwork in on time, again because of the allowance of companies to send the documents that we need out later and later. Just go sit down with a prepaer and guesstimate how much you’ll owe in tax, send in that amount and send in an extension form, then don’t worry about when the documents come, don’t worry about the mad rush of the tax filing. April 15th will come and go with no consequence. You can file your taxes in May or June, or even later. As long as you paid your tax liability in advance, they don’t care when they get the paperwork.